A surprise announcement by the Scottish Government has turned round the fortunes of the shut-down children’s ward at St John’s hospital. For NHS Lothian has told Holyrood that the Livingston-based facility will operate on a 24-hour-basis, four days a week from Monday, March 18. And health bosses have stated that this is with a view to having full 24/7 service being restored by October. The ward has not operated an inpatient service since July 2016 in a move that sparked uproar across West Lothian, as sick children were forced to seek treatment in Edinburgh. It was stressed that there were not enough staff in place for the ward to operate safely. Now three trainee Advanced Nurse Practitioners have been appointed, meaning a partial re-opening can finally go ahead. Dr Tracey Gillies, Medical Director, NHS Lothian, said: “We have always said that we could only restore the full service when it was safe and sustainable to do so and that has been our priority throughout. 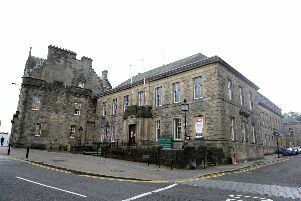 The view was echoed by West Lothian Council, which had actively campaigned for the re-opening. Meanwhile, Labour MSP Neil Findlay said: “I cautiously welcome this but in the meantime, children will still have to travel to Edinburgh three days a week, meaning that stress on families will continue.